Goodreads: CeCe D’Aplièse has always felt like an outcast. 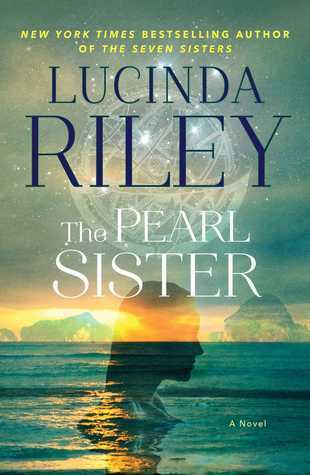 But following the death of her father—the reclusive billionaire affectionately called Pa Salt by the six daughters he adopted from around the globe—she finds herself more alone than ever. With nothing left to lose, CeCe delves into the mystery of her familial origins. The only clues she holds are a black and white photograph and the name of a female pioneer who once traversed the globe from Scotland to Australia. Kritters Thoughts: The fourth in a series and as I have said a few times before, I would start at book one so you get the development of the sisters and this family. This story centers on CeCe the fourth daughter of Pa Salt and before he recently passed away he left clues for each of his daughters to find where they came from and learn about their heritage. CeCe's takes her back to Australia and it was fun for me to read this book as I have visited Australia and I loved the country. Again the author nails the transition from CeCe's story to the story of the past. I loved how she worked in her dyslexia and it just felt seamless! The way she flowed from CeCe's story to Kitty's was just spot on and it made me love dual narratives even more. I loved reading CeCe right after Star to see how different they were even though they were raised in the exact same home. You could tell that there was such a difference in their personality and their drive to know where they came from. I almost wish there were more than seven sisters because I would love to read a book or two from this series every year!